Artist and Sculptor Nicky Ravine of Satellite Beach is a New Member of the Studios of Cocoa Beach Art Gallery.His paintings and sculptures reflect his artistic relationship with the ocean and his soul surfing imagery echoes it's primitive calling. Nicky's Laserchrome Direct to Metal Prints and Canvas Prints are on display at The Studios Of Cocoa Beach starting May 15,2018. 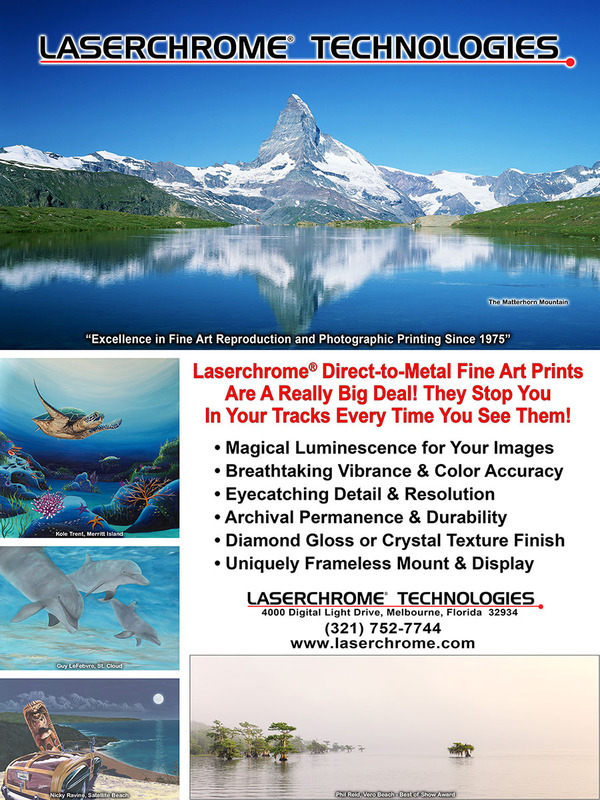 Laserchrome Technologies is Sponsoring and Judging The Out Of Towners Art Exhibition at The Studios of Cocoa Beach Friday May 25th 6-9 PM. Artists Alan Metzger , David Hunter, Heidi Stovenga, Kenan Sari, Kate Carney, and Pete Steenland are competing for the coveted Laserchrome Award Of Excellence.